Many foreign-policy analysts endorse the idea of bilateral talks between the leaders of North Korea and the United States. The problem is this particular leader of the United States, and his belief that seat-of-the-pants temperamental spontaneity is the best approach to the problem of avoiding nuclear war. 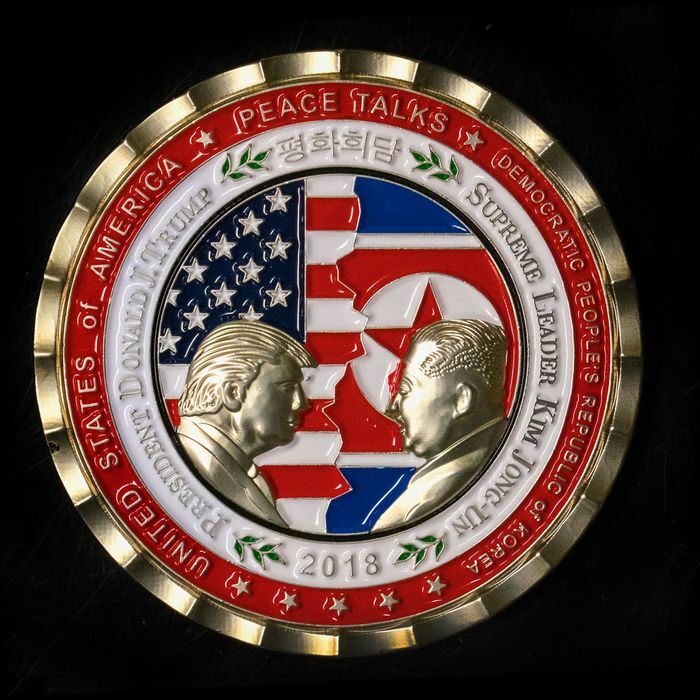 Fortunately, the commemorative coins do not list a date for the summit any more specific than “2018,” so there’s still plenty of time for it to be held without their going to waste. If it fails, the coins might turn up in the hands of some impoverished children in the developing world, like those pre-printed championship T-shirts for losing teams.